I am catching up with my responses to mail art that I have received during the past month. I decided to develop a series of postcards based on maps, both ancient and modern. 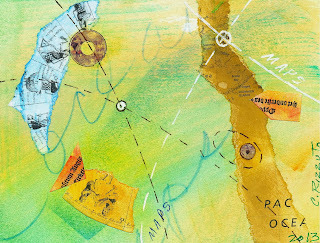 A map denotes searching, connecting, finding, exploring, and thus is an apt concept for mail that travels the world. Each postcard includes portions of a map, plus collaged, stamped and drawn elements. Consequently, they are similar but unique. In some cases the map fragment includes the country of the recipient. Only a few examples of the 15 that have been created so far are included here. Twelve of the postcards have been sent to the following: Cristina Blank of Germany; Raphael'L of San Jose, California; Mail Art Martha, United Kingdom; Keith Chambers, Anaheim, California; Patricio the Celestial Scribe, Brazil; Marina Miletic and Patrick McQuaid of Ireland; Esther Kamkar, Palo Alto, California; Mimi Torchia Boothby, Seattle, Washington; Amy Irwen, Rosemount, Minnesota. The card to Moan Lisa, Des Moines, Iowa, accompanied my contribution to Fragmented, the Call for Mail Art. 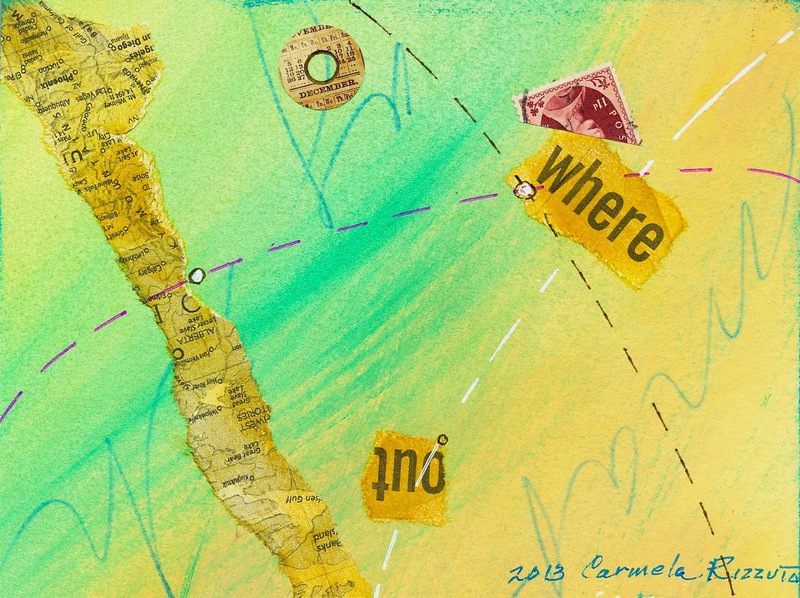 Thank you all who sent me mail art--they have been posted in previous entries. 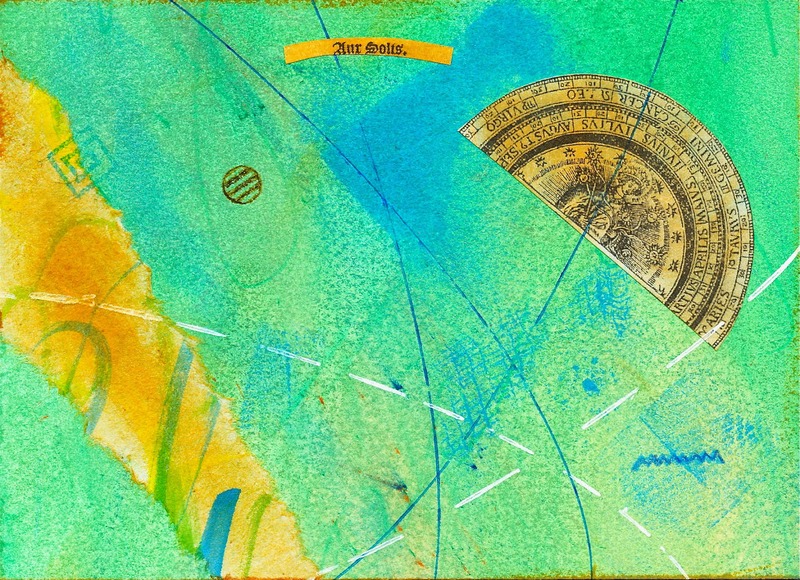 Collage and drawn elements on painted paper. 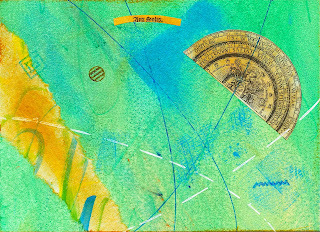 Collage, stamped and drawn elements on painted paper. This received favorable comments on the IUOMA network.